Last year (2010), almost to the day, it fell on September 6th - but far more substantially. This year Sicily's first real rain since late June fell tonight just around 11. 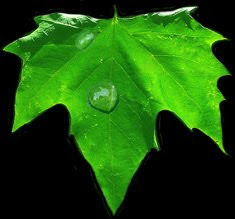 Here it's shown as a drop of water on a plane tree (sycamore) leaf.